Last week I bought a Profoto B1 and I got the opportunity to really test out the unit after my wife, Ruby, visited Phame Expo in Pasadena. I am not going to bore you with a in-depth review since this product has been out for some time, but I had been eyeing this strobe/flash head for a while and decided to bite the bullet and buy one. In short, I had never enjoyed molding light as much as I have with this flash. It's really easy to set-up and whether you are shooting bare bulb or with a modifier (I have an Elinchrom Rotalux Deep Octa mounted on it most of the time) it is a joy to use. Here are some photos taken with the Profoto B1 and my Elinchrom Rotalux Deep Octa. 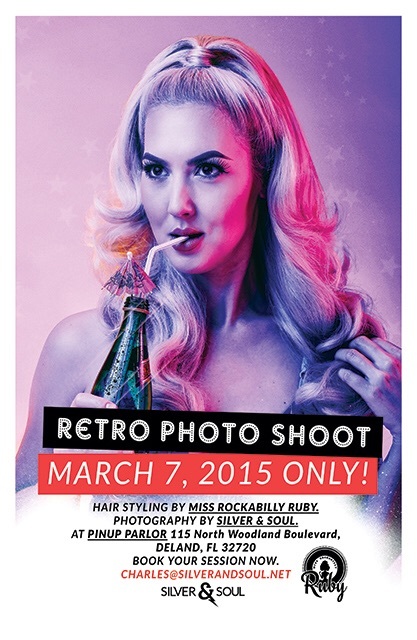 I am reaching out to let you know that I will be visiting you with Rockabilly Ruby on March 7th. I am teaming up with Ruby for a vintage inspired session, if interested reserve your spot now as I only have a few left. Email me at: Charles@silverandsoul.net to book your spot.